Home / International / Travel and Living / 10 ways to manage vegetarian food during international travel! 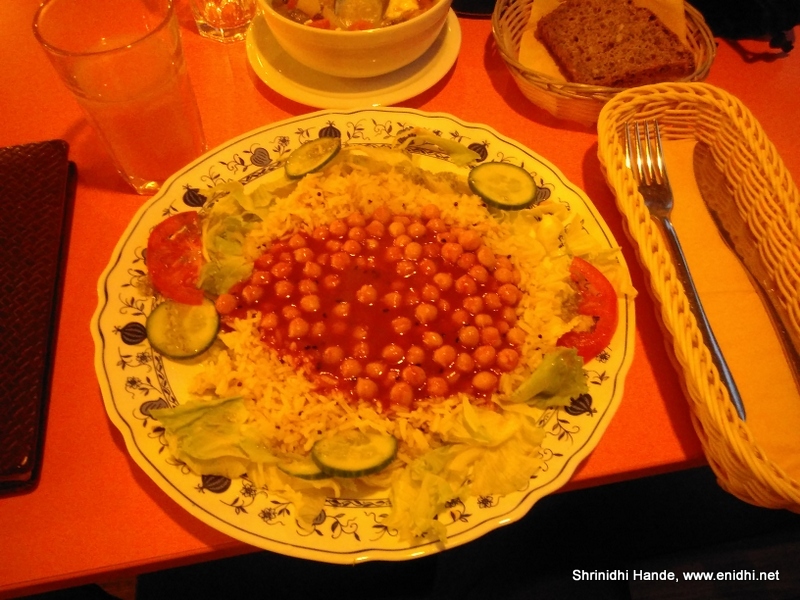 10 ways to manage vegetarian food during international travel! Many of my readers and friends and relatives have asked this question- how do I manage food while on travel? Hence I feel a post is due. Being vegetarian, surviving abroad is not as easy as in India but not impossible. 1. Most of my trips are short duration- like 1 week max. Human beings can survive without food for 7 days as per science. So that is my worst case scenario- I can still come back alive even if I don't get to eat anything throughout the entire trip- at least I hope so. If your travel profile doesn't suit above- like if you're trekking for weeks in deep interiors, or staying for several months abroad or travelling with large group with diverse food requirements etc then it may be more complex than what I manage. Assuming your case is similar to mine, read on. 1. 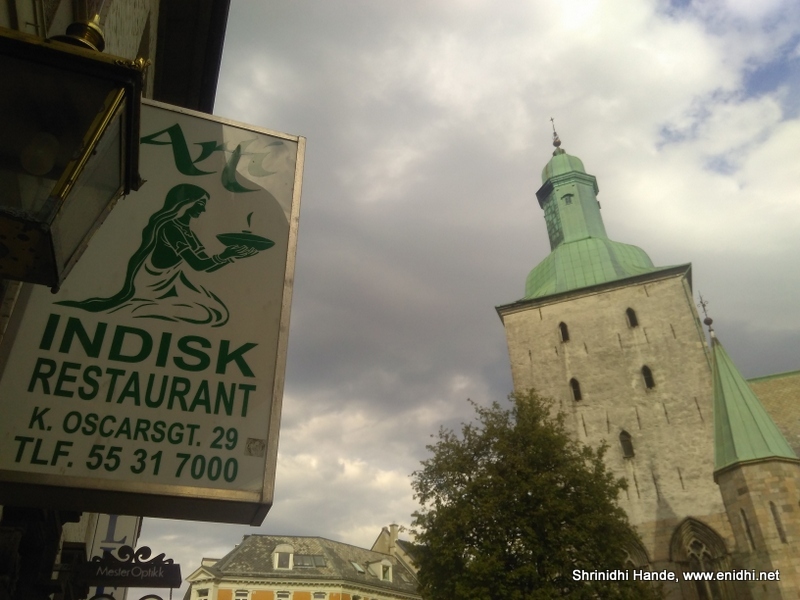 Indian Restaurants- The obvious choice, if available. 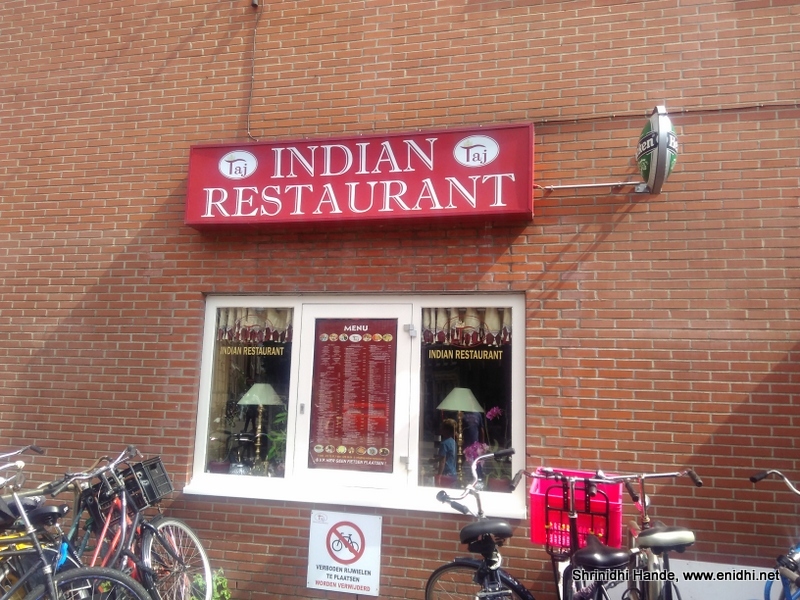 Indian restaurants can be found in almost all major cities in the world, wherever there is good chance of Indians staying or visiting. 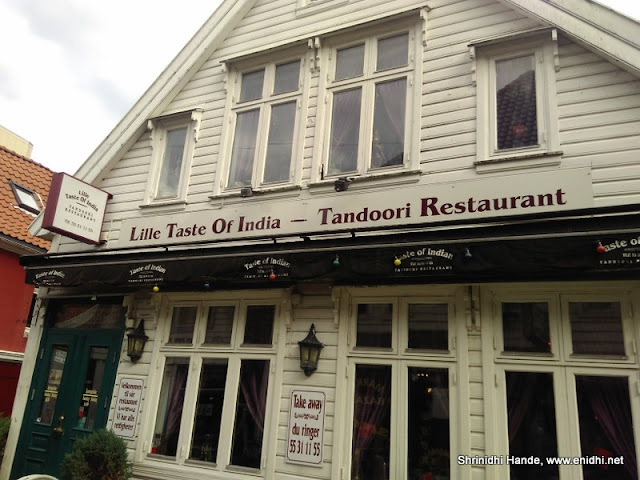 I have found Indian restaurants in NJ, Copenhagen, Brussels, Bergen and many world cities. However, I didn't find them in Manila, Cebu, Puerto Princessa etc. In capital cities you might just find one, unless the country has not much Indian connection. It gets hard if you go to Tier 2/3 cities in a foreign country. 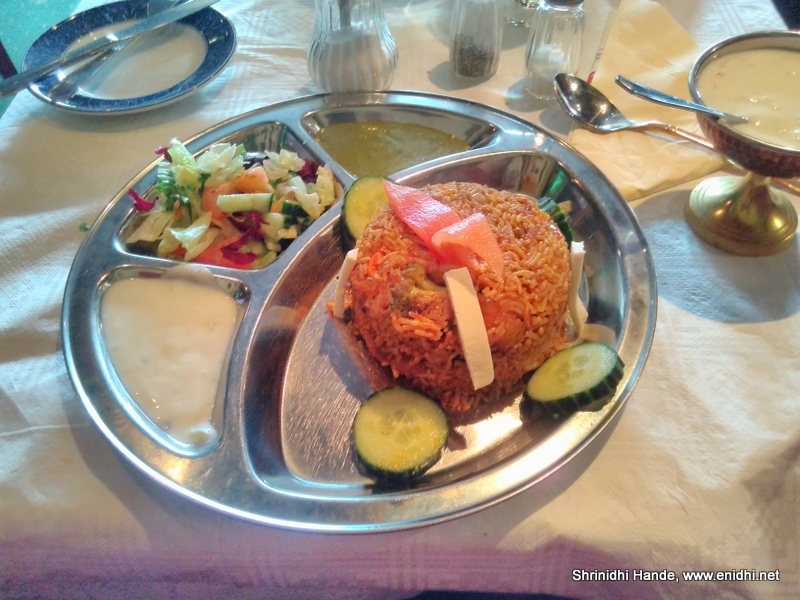 Many Indian restaurants abroad often adapt to local preferences and customers- so the offerings and taste many not be exactly as you get in Indian. Still they are the best bet if you can find one in your destination city. 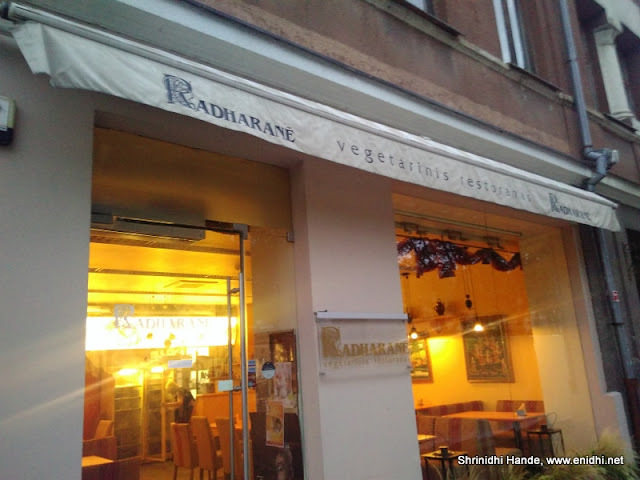 Most Indian restaurants abroad are veg+non veg. But usually they understand what Indian vegetarian means and can offer some bare minimum stuff- like rice and curd or salad etc. Finding pure veg (like Saravana Bhavan etc) needs little more luck. TripAdvisor usually offers a good list of restaurants in any city. 3. 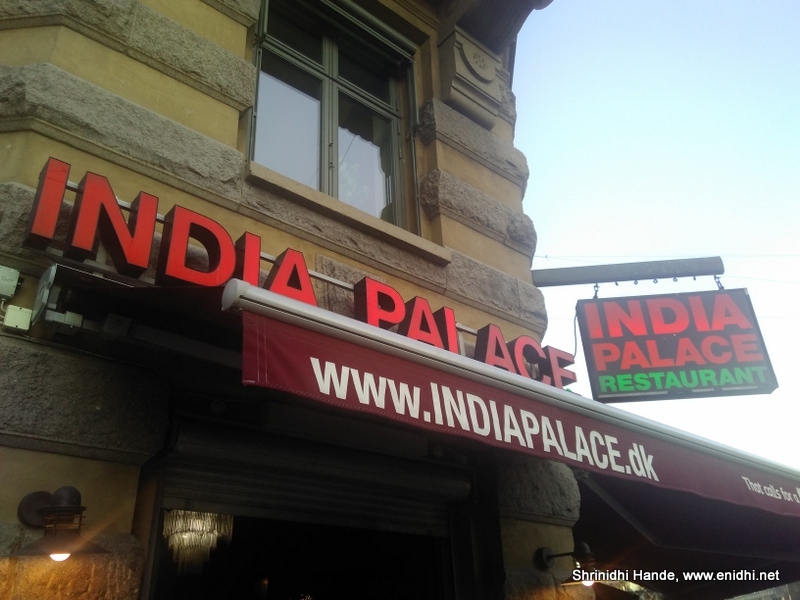 Nepali Restaurants: If not Indian, some cities have Nepali restaurants, whose food habits are a bit similar to Indians (I found one in Helsinki). 4. Subway: When it is hard to find #1 to #3, Subways are good places to grab a quick byte. Because the subs are custom made, you can request them to make a veg one by using only wheat base, vegetables like tomato, cucumber etc. A sub can cost as much as a meal but I find it more reliable than hunting for McDonalds or other chains and hoping for veg food. 5. Request for vegetarian food: Many restaurant staff in Europe are very friendly. If you explain your situation, they will be try to help you out. When in Roskilde, Denmark, a restaurant owner told me that his staff will be embarrassed if he asks them to make a burger without beef (which is deemed standard there) but he said he can make a veg pizza for me- as the base is same and he can avoid non-veg toppings. Similarly Chains like McD or Burger King usually agree to make a veg version if they don't already have one- this depends on country to country. In Asian countries, language barrier might prevent you from having a proper conversation to explain your situation. Also in some countries they don't realize that fish oil or egg is not vegetarian. Gets difficult unless you can make a proper conversation or have a host to help you out. There're 7/11 stores in most asian countries. Supermarkets can also be found in cities without much difficulty. If you're lucky you will get ready to eat Veg noodles in a cup, which store staff will cook for you by adding hot water. Biscuits/chips/ buns with coffee/tea are also good for emergency relief. Donuts are also available in many stores- but at times will contain egg. Many hostels around the world have a kitchen facility where guests can cook something. If you feel above options may not work for you, you can carry a few packets of noodles/MTR ready to eat, rice and cook your own meals in hostel kitchens. This will add a kg or two to you luggage but will save lots of money and inconvenience. If you're staying long term in a rented apartment self-cooking is best bet. Vegetables like Potato, Tomato etc are available in most supermarkets world wide if you wish to cook some sambar also. 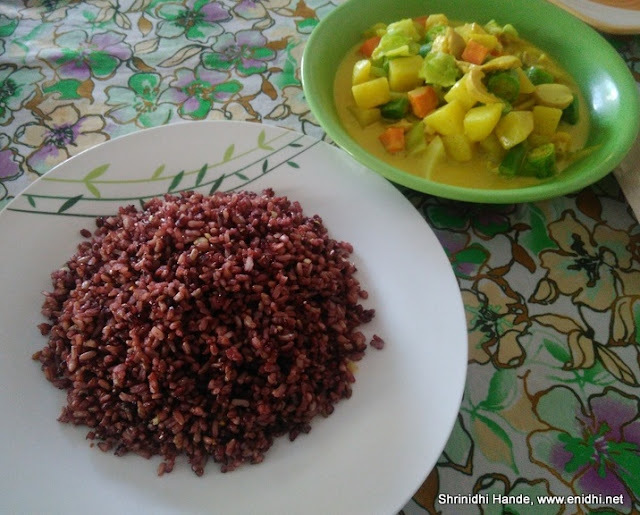 Book your stay with hosts who are vegetarian or can offer vegetarian food. If you can identify such accommodations and if your host is willing you provide food at least once per day, you can easily manage rest of the day outside. Just ensure that the idea of veg food is same for you and your host. If you're staying at the hotel that offers buffet breakfast, it will usually have enough veg options - including cereals, fruits, bread toast and jam etc. Eating as much as you can can keep you going till evening. Additional tip: Carry some food with you while traveling, if situation permits and if you prefer. Particularly if you're arriving in odd hours, lot easier to eat what you brought than scambling for a veg restaurant. Warning- if you’re crossing international border you may have to declare food stuff in customs card. Not doing so may result in penalty. Disclaimer: Above is based on my personal experience in the cities I visited during the time I visiting. Things are subject to change over time, please use your discretion. Do you agree? Have you got any tips to manage abroad being a vegetarian? Any unique experience to share? Please comment. I've found Veg options pretty much everywhere I've traveled so far. Same goes for Indian food. In fact, at some places it was quite overwhelming to see too many options around! Great Post! As a vegetarian who loves travelling and is allergic to both green chilli and corn I have suffered at a lot of places. Here is what I have finally learnt from my experience. If I am going to stay in a city/town for more than a day I shop at a local supermarket or 7X11 for bread, jam, fruits, milk and water which forms the base of all my meals. I usually book a room that has a mini fridge and preferably with a free breakfast.I pack items from breakfast like muffins or cakes for my lunch. I learnt the hard way that the patties in subs and burgers have corn in them. Instead I order a pizza where I can pick the toppings that I want. In US there are many Indian shops from where you can buy dry samosa, methi parathas, kakras that will last a week. I also buy snack bars, yogurt bowls and soups that most stores in both US and Asia have. I'll also plan 1-2 dinners at an Indian place and splurge on some comfort food. Being allergic to few or not eating specific items (like Jains avoid onion and garlic) adds to the trouble. I liked the intro that human's can survive without food for a few days...we fret so much about food when we are outside our comfort zones. I am a vegetarian too and like you said it is not that difficult to find vegetarian food anymore when we travel outside the country. I think South East Asia will be a problem for me too and that is one of the reasons I have not ventured to that side yet. I eat egg so that saves me on lots of occasions. I am wondering why there is no discussion of ready foods like MTR/MAIYA/ITC Products/Cup Noodles ,(Bisebelebath,sambar rice,pongal,all kind of subjis,pav bhaji masala, even maya's having curd vada & mudde saru) just boil the full pocket unopened for 10 min in the coffee kettle and ready to use cost is also from Rs.60 to Rs.150). Even for family of 4 for 12 days we managed with this stuffs during our thailand,bali & singapore trip. which is cost effective and also guaranteed satisfaction. In the above list in Srilanka, Kandy there are few indian restaurants available near to famous tooth relic temple just 100 meters away there is restaurant Balaji dosai makes very goods dosa and south indian dishes. Well compiled. These days vegetarian food is available in most of the countries and that too pretty easily, as your tabular information also suggests. I found it easily in Malaysia as well. Yes, #8 was about that. One night at Hyatt Andaz New Delhi Aerocity! Upgrade to New Tigor Styleback from Tata Motors! Tender Coconut around the world: My findings!